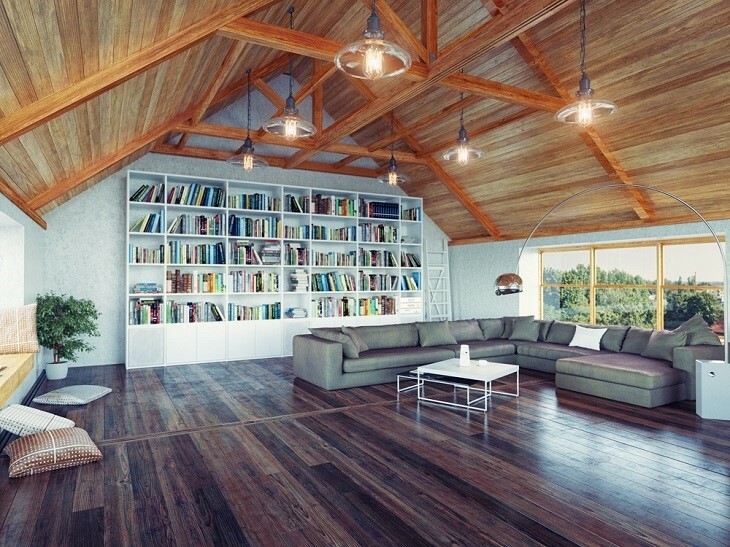 Solid timber flooring is a particular kind of wooden flooring. It has its own precise features which differentiate it from the other types of timber flooring. In a solid wooden floor, the floor will be completely wooden. 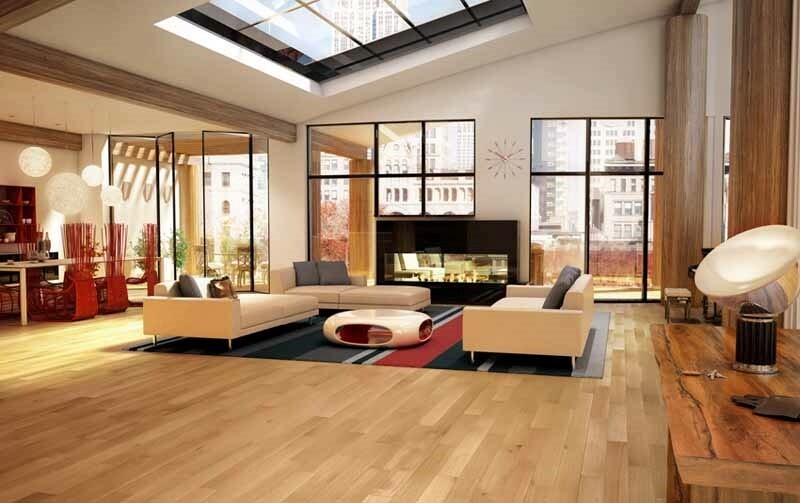 Wooden flooring gives an elegant look to your room it will add to the beauty of the house. Often wooden flooring is not made completely with wood. Laminates and sometimes even bamboo is used in conjunction with the wood to create a floor. This means that the particular floor is not a completely wooden one. Engineered flooring is another kind of wooden flooring. In that type of flooring, different styles and grades of wood are used to build the floors. However, in solid timber flooring only a single grade and quality of wood is used throughout the floor in a consistent manner. It makes the flooring an absolutely pure wooden floor. No laminates or any further material is used in constructing this floor. Moreover, the floor lives up to its name as it feels extremely solid and sturdy. In the most common kind of solid timber flooring, the wooden panels and planks are installed over a concrete surface. The application of the solid wood planks can take place in various different methods. The Direct Stick Method- The wooden tiles are directly glued over the concrete surface. Make sure that there is no dust present on the tiles. This method of adhering the timber tiles to the concrete floor requires an expertise with special skills. In fact, no other method of installation requires as much skill as this one. The contractor hired for the installation of the floor should have a thorough knowledge and understanding of this installation process. There are many variables that will need to be considered while attaching the wooden planks in this scenario. The glues will need to be chosen with care and the selection of the various vapor barriers will be similarly important. The choice of the wood is crucial to the quality of the flooring. Placement is another major variable. Generally, the wooden planks chosen for this particular type of installation have a thinner cross section. This specific method of installation is also known as overlay flooring. The use of incorrect procedures for installation or the incorrect selection of materials can result in a complete failure of the flooring project. The Ply Base Method- A slab of ply wood is used in this particular method. This slab of ply wood acts as a secondary slab between the concrete floor and the wooden tile. The ply wood slab is used as a base. This ply wood is sandwiched between the concrete slab and the actual wooden floor. It simply acts like a secondary floor surface. The ply wood allows the wooden planks to be attached easily. The use of correct procedures for the installation is again of vital importance. Vapor barriers need to be installed in the correct places. The ply wood slab will need to be fixed to the floor in the correct manner so that the joint remains strong. The solid wooden floor can then be placed in the proper manner on top of the ply wood. The Batten System-This particular method is quite similar to the bearer and joist method often used on the traditional kinds of floors. The thickness of the batten can changed according the needs of a particular floor. The adjustment of the thickness will allow the use of different widths for the boards. The height of the finished floor can also be changed with a change in the thickness of the batten. Vapor barriers and other options for fastening need to be checked to ensure no problems occur. If you are looking for best quality timber floors and want to make your home, look amazing then please click here to know further about solid timber flooring.